In late September, outgoing President Susilo Bambang Yudhoyono ineffectively and seemingly half-heartededly tried to prevent the passage of legislation to remove the right of Indonesian voters to directly elect district heads, provincial governors and mayors. Under the shadow of this episode, it is easy to forget that for much of his presidency, Yudhoyono was regarded as a champion of some major government initiatives both to devolve responsibility for basic services such as health care, education, and the building of basic village infrastructure to local governments and to encourage the direct participation of village communities in the design, implementation and oversight of these activities. These programs have brought real improvements to the lives of millions, but in one remote part of Indonesia, hardly noticed in all the hubbub surrounding the transition of power at the national level, the fate of one lonely anti-corruption whistleblower shows how these programs can themselves become captured by the corrupt interests that still bedevil Indonesia’s democratic institutions. Many of the local development initiatives under Yudhoyono were conducted through PNPM, the National Community Empowerment Program, which provides funds to village-level, community-managed organisations to build wells, bridges, roads or other basic infrastructure, as determined by community meetings held to discuss what infrastructure is needed, how it should be designed, and how it should be managed and maintained. The program was first implemented as a small pilot project in the final years of Suharto’s rule, at a time when a rigidly authoritarian, top-down development paradigm prevailed and it was a semi-official doctrine that communities were “still too stupid” (masyarakat masih bodo) to participate in development initiatives in any capacity other than as the grateful recipients of programs devised and implemented by centrally administered technocratic government agencies. In this context, many officials of government and development agencies regarded the community-based, participatory approach of the pilot program as frankly hare-brained and doomed to failure. To the surprise of practically everybody, it proved to be extremely successful. With its demonstrated successes and with increased ideological support from the rise of reformist ideas following the end of the Suharto period, the program was expanded under Yudhoyono’s administration to cover every urban and rural sub-district in Indonesia. It now involves the annual provision of a total well over US$ 2 billion in funds to communities across the country and is regarded as the government’s principal tool for improving the conditions of poor rural communities. One of the oft-cited reasons for the program’s success is the high degree to which it encourages and enables community participation. One of the key features of this program is that communities are obliged to raise a portion of the funding required to develop and maintain the infrastructure themselves, according to a system that the communities themselves determine. While communities often have low expectations of government projects due to their often well founded belief that such projects are poorly conceived, fail to meet the needs of the community, and are riddled with corruption, when they are not expected to contribute their own funds and labour, they often don’t have much reason to care about the outcomes. One of the key differences with PNPM is that because villagers are required to contribute, their expectations are much higher and they become much more involved in monitoring the project to ensure that it is implemented well, without funds being syphoned off for the personal benefit of officials. In fact, studies show that because of this high level of community involvement, PNPM infrastructure projects are up to 60 per cent cheaper than standard government projects implemented by contractors appointed by government agencies. The PNPM program recognises the value of the community’s role in monitoring programs to ensure that they are implemented well. It makes great efforts to ensure that all details related to financial transactions are made accessible, and actively encourages villagers to develop the financial literacy skills to understand these transactions. It has developed hotlines and complaint handling mechanisms that enable villagers to report corrupt acts, and has experimented with citizen journalism initiatives, the provision of legal advice for whistleblowers, and the staging of cultural performances that provide a medium for communities to express their dissatisfaction and complaints at the way local governments conduct their duties. With a zero tolerance policy on corruption, all actors in the program, including individual community members, civil society organisations, and program facilitators are encouraged and required to report financial deviations through the systems designed for this purpose. In many cases, these systems work well. With the direct election of district heads and legislatures and with systematic efforts to encourage communities to hold their leaders accountable, communities have often been able to apply strong pressure on local government administrators, particularly when these actions are supported by strong central government anti-corruption agencies. However, even under a system where communities can and sometimes do hold elected leaders to account, in many areas, particularly poor, remote areas with powerful entrenched local elites, these systems can fail dramatically. Even devolved, democratic institutions can be captured by elite interests through patronage, collusion between officials, and the use of force and blatant intimidation. 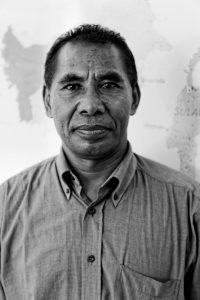 In 2011, Gregorius Rato, a PNPM district-level technical facilitator with more than ten years’ experience, moved to South Amanuban in West Timor to take up a post there. Observing the project’s procurement processes, he soon came to suspect that the prices of many components for a village-level solar power generation project were being systematically marked up, with the connivance of a previous project facilitator, district officials and suppliers. He persisted in raising his concerns, despite threats and warnings of dire consequences. As a result of his persistence, the contract with the supplier was not extended. Soon after, Gregorius was himself charged with corruption, with the case against him based on his possible involvement in a very minor technical violation of standard operating procedures that obviously did not result in any financial losses to the community or to the program. Examining the flimsy nature of the charges against him, it is hard to escape the conclusion that the charges were brought against him as a result of pressure by members of a local elite that felt threatened by his actions. With law enforcement officials under intense pressure to meet targets for the prosecution of corruption cases, once the prosecution process was in motion, it gained traction, despite numerous efforts by a number of institutions, including the Indonesian Association for Community Empowerment and Development (IPPMI), an association established to represent the interests of Indonesian community facilitators, to demonstrate his innocence. Despite these efforts, Gregorius was convicted and sentenced to two years and six months imprisonment in 2013. In the same year, he appealed this sentence on legal grounds. Not only did the appellate court uphold his conviction, it increased his sentence to three years, with an additional three months to be served if he failed to compensate the state for alleged losses to the sum of Rp 50 million. 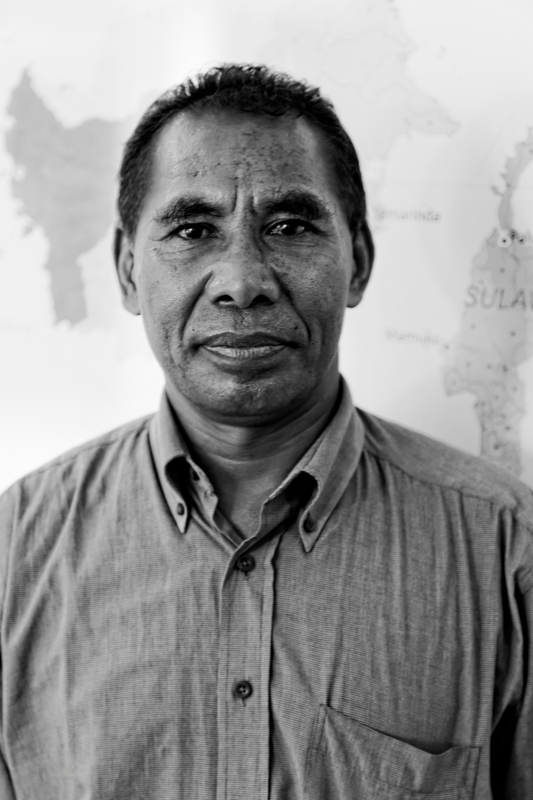 In 2014, following an intensive audit and investigation, the institutions responsible for the overall oversight and management of PNPM, the PNPM Steering Committee and the Directorate General of Community and Village Empowerment (PMD), published findings that stated that Gregorius Rato had not deviated from established procedures and that his actions had caused no losses to the state. Despite these findings, the conviction against Gregorius Rato stands, with a decision by a court in October 2014 to reject his final appeal and to enforce his extended prison sentence. The facilitators’ organisation, IPPMI, continues to strongly denounce the criminalisation of a whistleblower, although it is not clear what further steps can be taken on Gregorius Rato’s behalf. In large part, IPPMI’s concern is due to the chilling effect that this conviction may have on other facilitators who become aware of corrupt practices within the PNPM program and who rightfully attempt to draw attention to such cases. Left unaddressed, such cases of corruption may have a devastating impact, destroying the value that the program creates for the community and undermining its attempts to foster accountability and participation. In early May 2014, while under temporary leave from detention pending his appeal, Gregorius Rato agreed to take part in an interview regarding his case. Since then, following the rejection of his final appeal, he has been required to return to prison to complete his sentence. How did you come to suspect that there was something amiss with the PNPM project you were involved in? What did you do about it and what were the consequences? 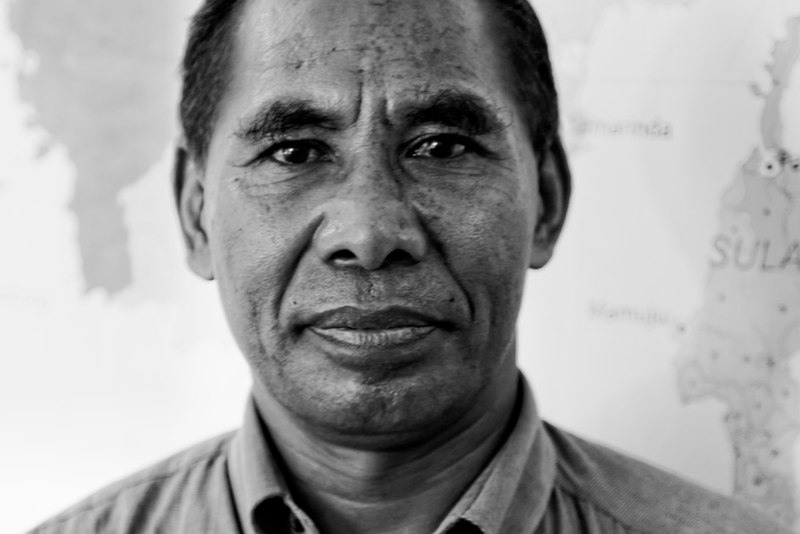 I was transferred from my post as a district-level technical facilitator in Flores to a similar post in South Amanuban in West Timor in April 2011, and took up my duties in May. At the point when I took up my duties, the project facilitators were conducting the annual project design and budget process. It was part of my duties to assist with this process. One of the projects involved the construction of solar-powered electric generation facilities. Right away, I could see that there was something odd going on. PNPM projects are supposed to be proposed and designed through a community process, for the benefit of the entire community. With this project, I could see that the project had been proposed by only a few people and only benefitted those individuals. That raised a flag for me. When I looked more closely at the procurement process, I noted that the price quoted by the suppliers for the electric generators was Rp 9 million. I’m not an expert in the area of electric power, but that seemed very high, so I contacted my network of friends in PNPM to try to determine what a fair and realistic price for these components should be. They told me that the actual cost of the components in question was closer to Rp 4 million, which meant that the cost was being marked up by more than 100 per cent. I raised my concerns with my colleagues, but many of them, particularly the technical facilitators who had been working in the region for a long period, said that the prices were standard and that there was nothing to worry about. But I didn’t agree. I began to suspect that I’d only uncovered a small part of the problem. I began to suspect that the figures were being systematically manipulated by senior people within the project and within the district administration. It wasn’t just a matter of prices being marked up in a particular case, it seemed as though senior project administrators were working with some district administrators to systematically engineer the process to make it appear as though the project was complying with the requirements to conduct an open, competitive procurement process, when this wasn’t the case. When I raised my concerns with PNPM officials outside the region, with central level PMD officials, the local officials told me to desist and leave it alone. In a meeting with the sub-district head, attended by section heads and other officials, they threatened to have me killed. In the end, they accused me of corruption and had me charged. What was the basis of the corruption charges against you and what were the consequences of those charges? To be completely honest, I don’t understand the basis of the charges against me. I was accused of ‘deviating from established procedures and processes’ for extending the terms of the contract of a supplier on the project. In fact, I only approved the extension of the contract because logistical difficulties meant that the supplier couldn’t complete the task in the original time frame. While it’s technically a violation for a facilitator to change the time frame of a contract, there is also a clause that permits it under conditions of force majeure. And the actions clearly didn’t result in any financial losses, other than from the delay that couldn’t have been avoided. As a result of that charge, I was held in custody and eventually convicted. As a result, I’ve been detained for over a year. I’m convinced that I was subject to criminal charges just because I drew attention to the potential misconduct of the senior district officials. I was accused of corruption, but what evidence is there? Where are the funds that I’m meant to have misappropriated? How did I profit? What damage did my actions cause to the state? It’s just not clear. My imprisonment has had a devastating effect on my family. While I was held for more than a year, my wife had to support our whole family on her salary as a teacher. Several of my children were studying at university, I don’t know if they’ll be able to complete their studies. We’ve consumed all our savings and have nothing left. It’s placed incredible strains on my wife. She’s had to take time off her work to come to visit me in detention, she’s had to struggle to buy food to bring me. I can’t even bear to talk about it. Have you received support from the institutions responsible for managing the PNPM program? Or from the facilitators’ organisation? While I was in detention, I had no idea of what was taking place outside on my behalf. I heard some reports, but it was only after I was released that I heard how facilitators all over Indonesia had started petitions on my behalf and lobbied to have me released. At the same time, and I don’t mean to criticise, but there were times that I felt that PMD had washed their hands of me. In April 2014, they finally published the results of an audit that stated that I hadn’t been involved in corrupt practices and that I hadn’t deviated from the standard procedures. I do understand that the process takes time, but I can’t help thinking that if they’d acted sooner and issued the report earlier, I might not have had to spend all this time in prison. But it’s not just about me. I always used to feel extremely proud to work for PNPM. I was proud to work to help villagers who had nothing to build their communities, to help them to build roads and water wells and the other things they needed. When the program works well, I’ve seen the impact it’s had on villagers who lived in miserable poverty, how it’s helped groups of poor women to set up businesses. I gave ten years of my life to the program because I believed in it. What really gets me is the idea that all that’s being wasted, that the program’s funds can be taken by the village elite to make themselves even more rich and powerful. There’s no system to protect an individual within the program if they make a report about corruption and are punished for coming forward. When I was in prison, the most painful thought was that everything we’ve worked to achieve will come to nothing because of the actions of a few corrupt officials, and that there’s nothing that we can do to stop them.